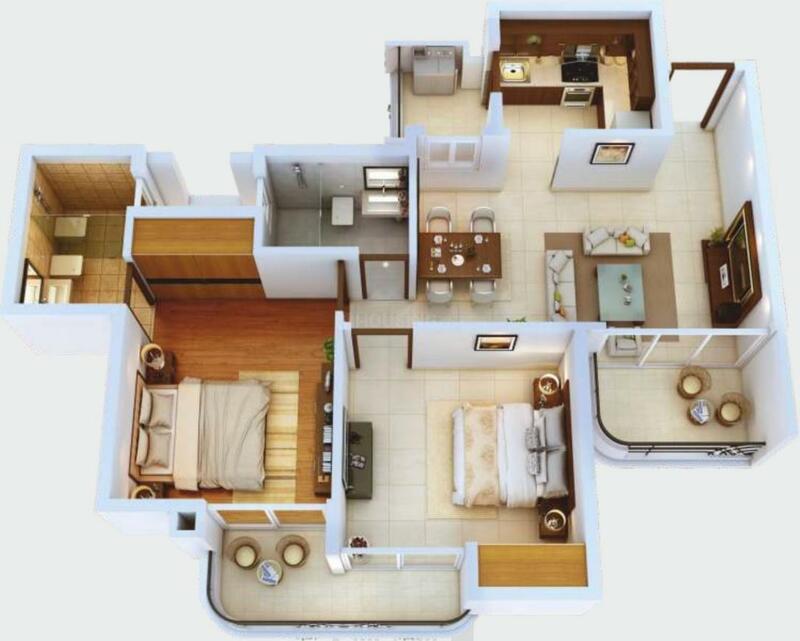 982.00 sqft. - 1485.00 sqft. 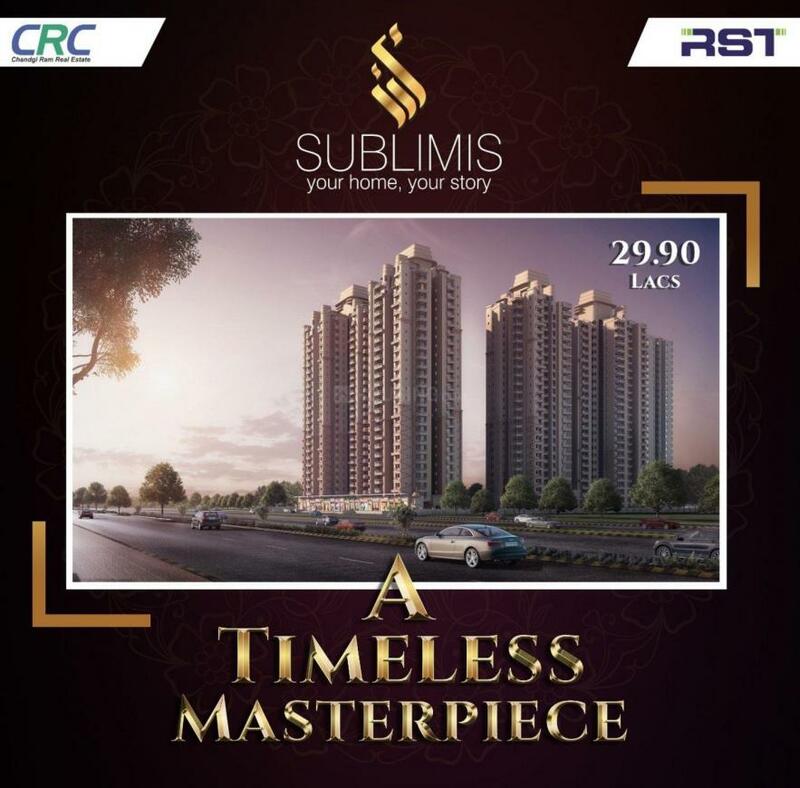 CRC Sublimis by the CRC group is located in Sector 1 Noida Extension at Greater Noida. 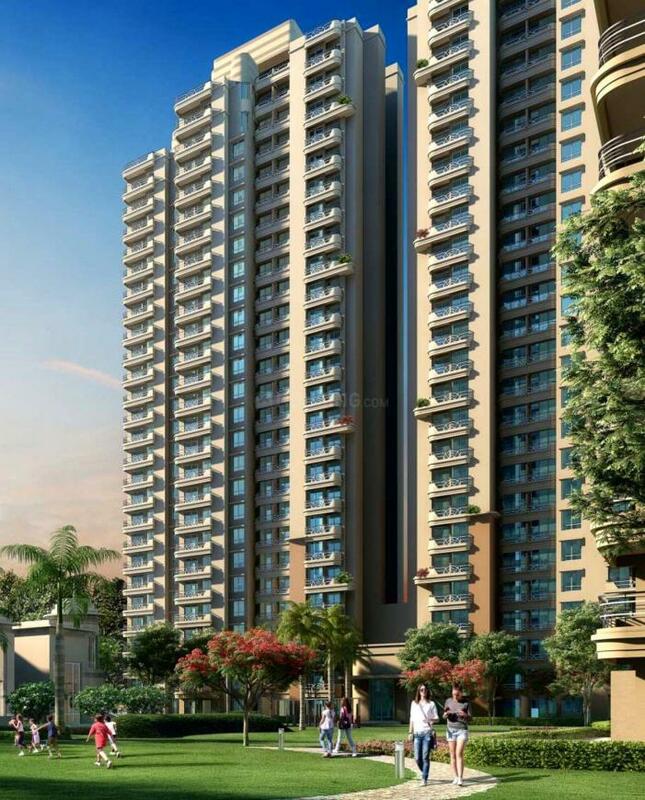 Built on a 4.94-acre plot, the project comprises six blocks of 800 units with 2,3 BHK apartments of sizes ranging from 603 square foot to 801 square foot. It is a gated community equipped with added facilities such as a swimming pool, gymnasium, golf, basketball and tennis courts, amphitheatre, sauna room, 24/7 security, and landscaped areas. The locality of the project is connected well to the public transport system, and access to infrastructural facilities are in plenty. 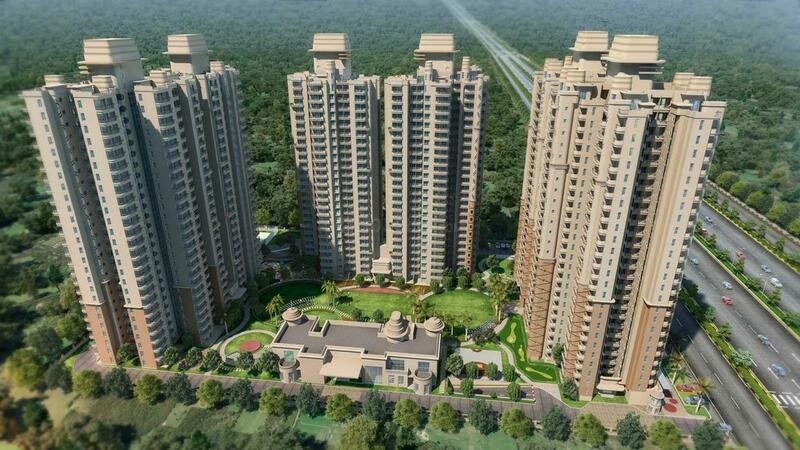 Schools, parks, hospitals and ATMs, shopping malls are close by. Patwari bus stop and Ghaziabad railway station can be reached quickly to commute to other areas in the city. Gift's: LCD 32 inch, Microwaves and many more. Saleable Area : 982.00 sqft. • Flooring :- Vitrified Tiles Flooring In Living, Dining & Wooden/Vitrified Tile Flooring In Bedrooms Vitrified Tiles In Kitchen & Toilets In Ceramic Tiles. Staircase & Landings To Be Provided In Kota Flooring/Marble Or Equivalent Balconies Will Be In Anti-Skid Ceramic Flooring. • Dado :- Ceramic Tiles Of Required Height In Toilets & 600Mm Height Above Kitchen Counters Slab In Appropriate Color & Paint. • Exterior :- Appropriate Finish Of Texture Paint Of Exterior Grade Or Equivalent. • Painting :- Plastic Emulsion Of Appropriate Color On Interior Walls & Ceilings. • Doors & Windows :- Entrance Door- 8 Feet High Polished Hard Wood Frame, Laminated Flush Door. Internal Door High Polished-Hard Wood Frame, Laminated Flush Door. External Door-Upvc / Powder Coated Aluminum. Window-Aluminum Composite Powder Coated With Anodized Aluminum Hardware Along With Additional One Wire Mesh Panel In Toilets. • Plumbing :- As Per Standard Practice, All Internal Plumbing In Gi / CPVC / Composite. • Toilet :- Premium Sanitary Fixtures. Premium Chrome Plated Fittings. • Electrical :- All Electrical Wiring In Concealed Conduits; Provision For Adequate Light & Power Points. Telephone & T.V Outlets And Drawing, Dining And All Bedrooms; Molded Modular Plastic Switches & Protective Mcb'S. • Structure :- Earthquake Resistance Rcc Framed Structure As Per Applicable Seismic Zone. • Clubhouse & Sports Facilities :- Clubhouse With Swimming Pool To Be Provide With Changing Rooms For Both Males-Females, Well Equipped Gym, Indoor & Outdoor Games Areas, Multipurpose Hall, Utility Shops, Table Tennis, Children'S Play Area, Badminton Court, Jogging Track, Sauna, Billiards, Long Tennis, Squash Court, Half Basket Ball Court, Mini Golf. • Security & Fetch :- Provision For Network Wire, Perimeter Security And Entrance Lobby Security With Cctv Cameras, Fire Prevention, Suppression, Detection & Alarm System As /Per Fire Norms. 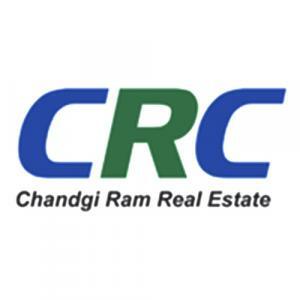 CRC Group Pvt Ltd is a successful, prominent and respected company in the field of real estate. They have delivered beautiful housing projects that provide their customers with integrity and honesty. The company makes sure that every project created and delivered by them speaks of architectural brilliance. The employees here are passionate about their profession as well as their careers. The best of the company is that it makes projects for all kinds of customers ensuring that they have the best experience. Armed with the dynamic team that comprises of experience managers and skilled workers, CRC Group Pvt Ltd is steadily climbing the ladders of success in the domain.